Our saviour: The soldier, whose gun is circled, helps two women to safety. His identity has been protected for security reasonsI love coffee. But I don’t drink it everyday. Nor do I need the caffeine-fix. I simply like the taste. When I was growing up, I used to love going to Japan and having bottled coffee milk. It was like chocolate milk; but coffee flavored, and sweet. They no longer sell those. Just watered down iced coffee beverages. Starbucks Frappuccinos are somewhat reminiscent of my favorite childhood drink in Japan. But it leaves a bad aftertaste in my mouth. And frankly, I prefer Coffee Bean’s pure vanilla ice-blended. Our company’s longstanding approach to “open carry” has been to follow local laws: we permit it in states where allowed and we prohibit it in states where these laws don’t exist. We have chosen this approach because we believe our store partners should not be put in the uncomfortable position of requiring customers to disarm or leave our stores. We believe that gun policy should be addressed by government and law enforcement—not by Starbucks and our store partners. For these reasons, today we are respectfully requesting that customers no longer bring firearms into our stores or outdoor seating areas—even in states where “open carry” is permitted—unless they are authorized law enforcement personnel. I would like to clarify two points. First, this is a request and not an outright ban. Why? Because we want to give responsible gun owners the chance to respect our request—and also because enforcing a ban would potentially require our partners to confront armed customers, and that is not a role I am comfortable asking Starbucks partners to take on. Second, we know we cannot satisfy everyone. For those who oppose “open carry,” we believe the legislative and policy-making process is the proper arena for this debate, not our stores. For those who champion “open carry,” please respect that Starbucks stores are places where everyone should feel relaxed and comfortable. The presence of a weapon in our stores is unsettling and upsetting for many of our customers. I am proud of our country and our heritage of civil discourse and debate. It is in this spirit that we make today’s request. Whatever your view, I encourage you to be responsible and respectful of each other as citizens and neighbors. Starbucks is free to not only make such a request of its patrons; but to ban firearms on its own premises, if so desired. The company, which has some 10,000 stores and 160,000 employees in the U.S., is asking customers who carry handguns in open-carry states to please not bring their guns into the store. It’s hard to believe this will be taken as controversial or as anything other than reasonable, fair and sane, but we are an interesting country. I spoke to Starbucks Chairman Howard Schultz this afternoon, by phone. Why did you do this? Why does Starbucks have to have a position on people bringing guns in for coffee? And yet by this request not to bring firearms on their premises is indeed taking a position; one on the side of the anti-gun advocates. They are not taking a neutral position. Think of the reverse reasoning if it read: ….it began to disturb us, the number of customers and children who became alarmed at seeing people in the store not carrying guns. . . . We had a couple situations the past few weeks where some people walked in without rifles! Why did Starbucks become a theater of the gun debate? How do you imagine this working—how do people who carry guns in open-carry states disarm themselves to get a cup of coffee? ~~~Everyone probably asks you if you have guns. Do you have guns? Frankly, I feel safer when good citizens are trained and armed. And in light of the Nairobi Mall terror attack, there is heightened concerns about the possibility of our own malls being staging grounds for future terror attacks. Would you rather be among sheep or among sheepdog when the wolves come to play? 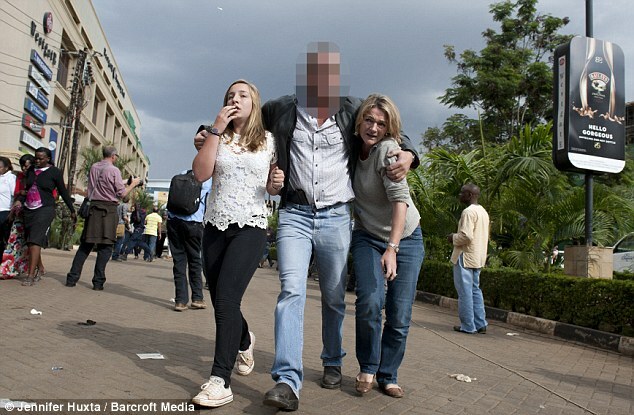 A former marine emerged as a hero of the Nairobi siege yesterday after he was credited with saving up to 100 lives. The ex soldier was having coffee at the Westgate mall when it was attacked by Islamists on Saturday. His story emerged as sporadic gunfire continued to ring out from inside the mall early today as Kenyan security forces battled Al Qaeda-linked terrorists into a fourth day. The former soldier is said to have returned to the building on a dozen occasions, despite intense gunfire. 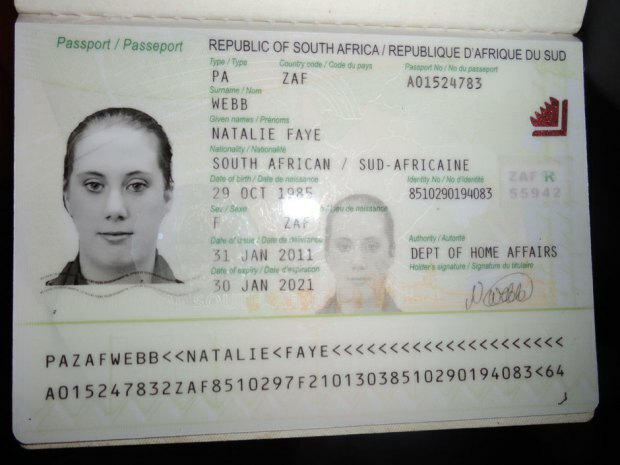 A photo of fake South African passport of Samantha Lewthwaite released by Kenyan police in December 2011. Samantha Lewthwaite, nicknamed ‘The white widow’, widow of suicide bomber Germaine Lindsay, who blew himself up on a London Underground train on July 7, 2005, killing 26 people, may be among the members of the terrorist cell behind the Nairobi mall massacre. The attacker from Britain was a woman who has ‘done this many times before,’ Mohamed said which lends weight to speculation that the so-called ‘White Widow’, Samantha Lewhwaite may have taken part in the raid. U.S. officials said they were looking into whether any Americans were involved. State Department spokeswoman Jen Psaki said Monday that the department had ‘no definitive evidence of the nationalities or the identities’ of the attackers.